The classical histopathologic features include granulomatous inflammation, necrosis, and/ or vasculitis. Characteristic histologic features are more commonly seen in open lung biopsies (Fig. 1) and are seen less often (<50%) in head and neck specimens (5). 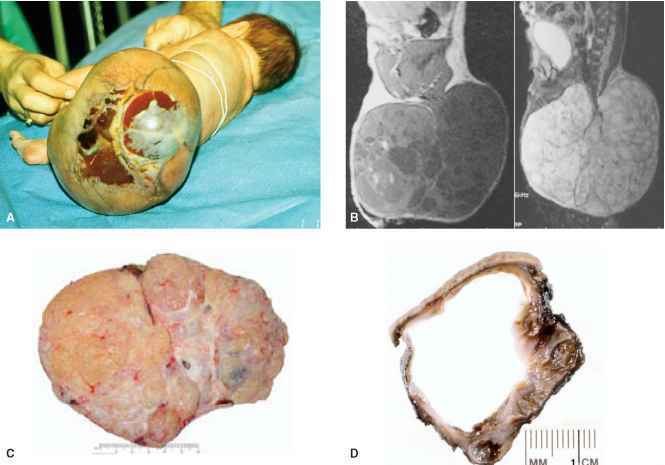 The characteristic renal lesion in WG is a focal, segmental necrotizing, crescentic GN with scant or no immune-complex deposits (6). There is evidence that both cellular and humoral components of the immune system play a role in the pathogenesis of WG. Macrophages, dendritic cells, and T-cells are necessary for granuloma formation. Antigens expressed on activated neutrophils and monocytes interact in vitro with ANCAs, resulting in enhanced neutrophil degranulation and generation of toxic oxygen radicals, which may lead to or enhance tissue injury. ANCA is present in about 55% to 75% of patients with mild disease and in more than 90% of patients with severe disease. This suggests a pathogenic role for B-cells and plasma cells. It is not yet clear how B-cells in WG may also function in their capacities as antigen-presenting and immunoregulatory cells. 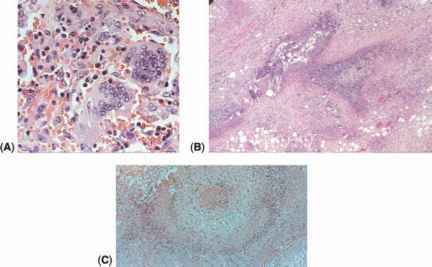 FIGURE 1 Wegener's granulomatosis: lung biopsy specimens demonstrating granuloma formation (A), necrosis with a geographic pattern (B), and vasculitis (C).